2012 was a rewarding year for the design team at Bryant Park Corporation, 34th Street Partnership, and Chelsea Improvement Company. Designers Ignacio Ciocchini, Julie Ember, Jamie Song, Neha Sabnis, Alexandra Gonzalez, and Alvin Kong upgraded Bryant Park’s sign system, designed a new Bryant Park Water Bottle, and collaborated with the management of the Empire State Building to beautify the iconic skyscraper’s loading dock. The team also picked up multiple honors, as 34SP’s MTA SBS Ticket Machine Graphics redesign and the CityBench, originally conceived as the Chelsea Bench for CIC, each won a Spark Award and an IDA Downtown Achievement Award. The team starts 2013 just where they left off, as we learn that the Good Design Awards, organized by the Chicago Athenaeum Museum of Architecture and Design and the European Centre for Architecture Art and Design and Urban Studies, have announced winners for 2012, and the honorees include the Bryant Park Litter Receptacles and CityBench. The awards “aim to give international recognition for designers and manufacturers when they devise innovative products, through invention and originality, beyond what is considered ordinary product and consumer design. One of the main factors for the awards selection is based on whether or not a product can enrich society and people's lives through its design.” IDSA highlighted the accomplishment in a recent article. 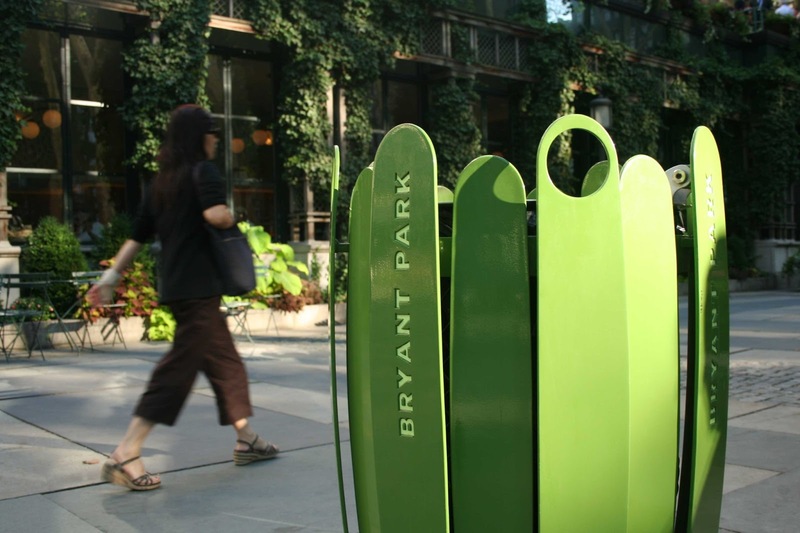 Bryant Park’s botanical-inspired litter receptacles have won praise and awards since their unveiling in 2010. They received a Spark Silver Award in their introductory year, as well as recognition from design-oriented blogs, including Yanko Design, Laughing Squid, and Fancy Cribs. A photograph of the litter receptacle also appeared in Lance Hosey’s book The Shape of Green: Aesthetics, Ecology, and Design as an example of good public design. Designed by Ignacio Ciocchini, the receptacles can be seen throughout Bryant Park as well as in the parks at Herald and Greeley Squares. The Good Design Award is the latest in a long list of honors for Ciocchini’s CityBench. 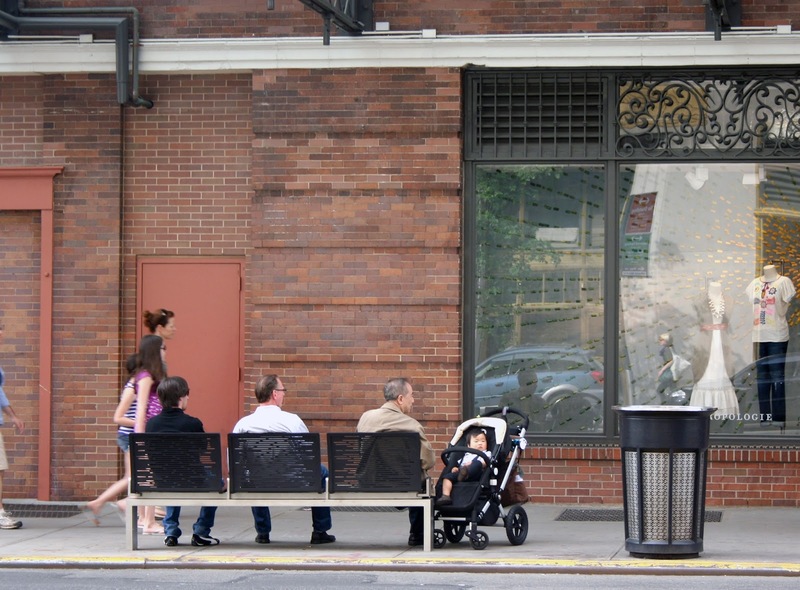 Originally designed for CIC to furnish sidewalks in SW Chelsea, the bench was quickly adopted for the NYC Department of Transportation’s CityBench program. Though already prominent in SW Chelsea and on 34th Street, there will soon be 1,500 CityBenches at bus stops and in other heavily pedestrianized areas in all five boroughs. Learn more about the bench dubbed “Coolest Seat on the Street” by Curbed.com at the CIC or DOT websites. And if you know the perfect spot for a bench, fill out the NYC DOT’s online request form.